Last night, my two favorite crafty ladies (friend & mother-in-law) came over for some good crafty fun. 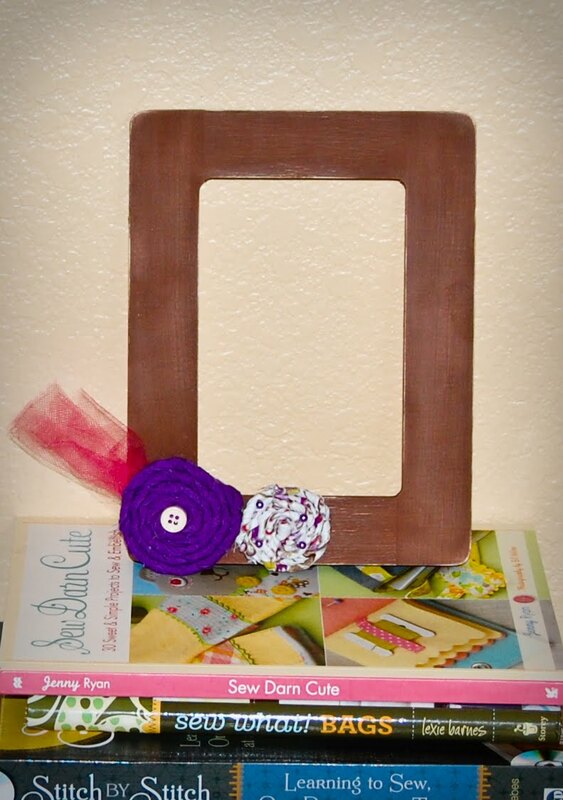 We tackled January's "Create with Me" project from Ucreate. 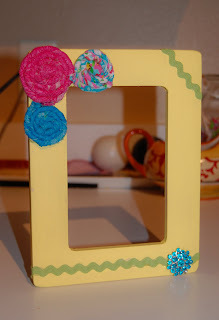 This month is an adorable Rosette Frame. It was great to relax with some coffee, chit-chat & creativity. Let's face it, sometimes it's just nice to be something other than "mom" for a while. We dug through my mess of a craft area to find the fabric scraps to make the rosettes. 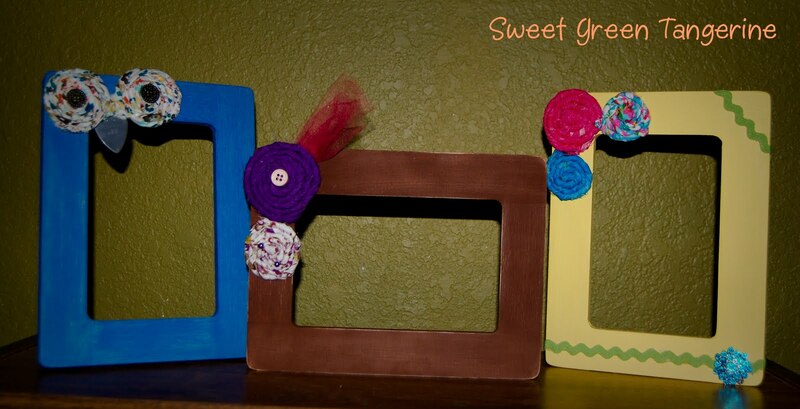 It was so cool to see each of our frames turn out so differently according to our different styles. I was going for something to match my totally mis-matched dining/craft room...and came up with this. Becky of Raw Potatoes created an adorable frame for her little diva's room. Cute, right?! What a great night. 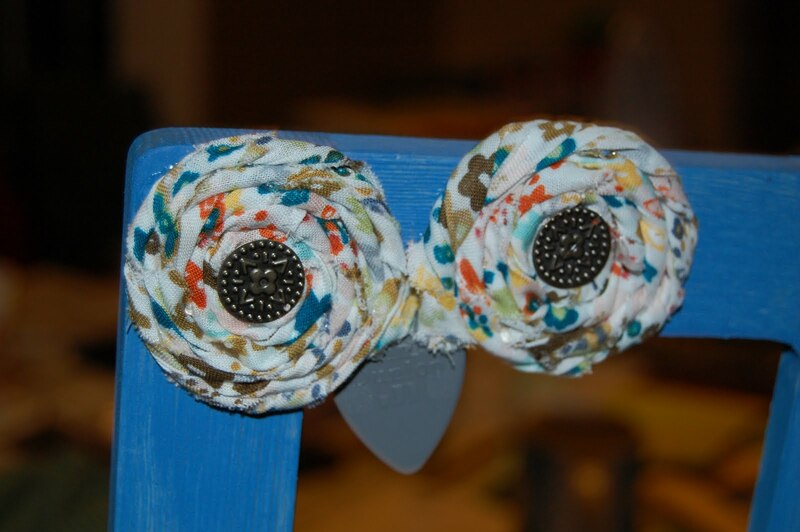 Plan your next Craft Night with your friends, you won't regret it! How cute are these?! I'm officially jealous that you have a girls craft night. 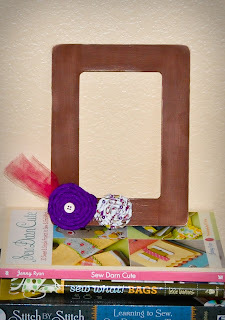 If only I had craftier friends!